Family turmoil led JAMES ONIAS to leave both the priesthood and the Jewish faith. But at the invitation of King Herod, he returns to Jerusalem with the prospect of rebuilding the city in the king's grand design. James's obsession with becoming a renowned master builder is second only to his love for Elizabeth Boethus. Married to a longtime rival, Elizabeth is about to be executed for adultery. Certain of her innocence, James whisks her to his ancestral home and appeals to King Herod for help. Seeing all his desires within reach, James is prepared to dupe or undermine anyone in his way. Anyone except Elizabeth. Once a defiled outcast, ELIZABETH BOETHUS is overjoyed by the prospect of again worshiping at the Temple, but joy turns to terror when her husband accuses her of unfaithfulness. Elizabeth's relief over her rescue proves brief. Though she has always loved him, a marriage to James the Apostate means disgrace and treacherous court intrigues. 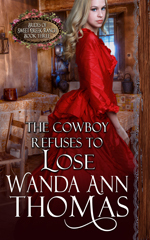 Elizabeth faces the fight of her life convincing James to let her go. Especially when her heart is working against her. James's goals of safeguarding Elizabeth and becoming master builder are tangled with the deadly strife roiling King Herod's household. The king suspects everyone of treachery-even his royal-born wife. Anyone could be the next victim of his unstable temper. Meanwhile, Elizabeth fears for James's soul as he plots to earn the title of Herod's master builder. Will hate and misery be the victor? Or will love and joy triumph? Will the APOSTATE PRIEST be conquered by selfish passions…or choose the path of redemption? A widowed priest from a wealthy family, Gabriel Onias is appalled at the greed and corruption permeating the priesthood. Unable to stomach another moment of deceit, he turns his back on the only life he’s ever known, shakes the dust of Jerusalem off his sandals, and joins Herod’s war to overthrow the corrupt leaders. A humble mule train operator, Shoshana Ehud courageously defends her family with nothing but her determination and a wooden club while they travel through war-torn lands. 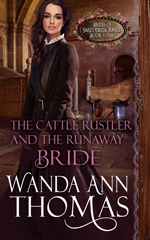 Abandoned by a deceitful, treacherous husband, she despairs of ever knowing the joy of true love. But her conniving husband pushes too far when he involves her family in a scheme to double-cross Herod. Gabriel’s beliefs are shaken to the core after Shoshana rescues him from a bandit attack. Enthralled by a woman he shouldn’t pursue, Gabriel is determined to confront the Samaritan woman’s husband and demand he grant her a divorce. Fearing for Gabriel’s safety, Shoshana urges the princely man to master the sword rather than fight her battles. When Herod threatens Gabriel’s family and demands he forsake Shoshana for a more advantageous marriage, the soldier priest faces his biggest battle yet in a clash of...Warring Desires. Conflicted over marriage and motherhood, Mary of Rumah has been resisting her family’s efforts to arrange a marriage. After her best friend dies in childbirth, Mary decides to escape her painful memories and embark on an idyllic life on the Sea of Galilee. But she rethinks her plan when a strong, quiet stonecutter captures her interest. Cephas isn’t as shy as she first supposed. And he intrigues and challenges Mary in ways no man has before, forcing her to confront her fears or risk losing a lifetime of adventure and happiness with...The Stonecutter. 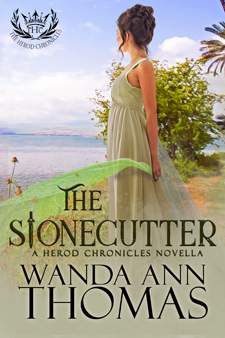 The Stonecutter is a companion novella to The Herod Chronicles Series. An outcast and a pagan, KADAR THE NORTHMAN can't ignore the plea of a highborn Jewess who is desperate to recover her young son. Wronged by her power-hungry father, LYDIA ONIAS turns to the giant, blue-eyed barbarian who had been such a comfort during her bleakest moments. Denying their love as impossible to fulfill, Kadar and Lydia find more trouble when they align with Herod, whose power is threatened by palace conspiracies and murder. But everyone's lives and future prospects are jeopardized when Jerusalem is attacked by an invading army. Kadar accompanies Herod to the dangerous courts of Cleopatra and Mark Antony to seek men and money to strike back. 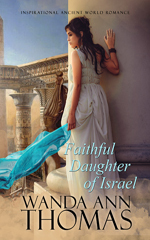 With Lydia and Herod's family stranded atop the water-starved heights of Masada, the fate of a nation and the woman he loves depend on the sword of... The Barbarian. A former soldier in the Jewish army, NATHAN OF RUMAH, just wants a quiet life on his family's olive farm. But his idyll ends abruptly when he rescues a wealthy and prominent Pharisee and his family from a brutal attack by rebels he calls friends. Nathan vows to right the wrong, never guessing it will lead to his hasty marriage to the Pharisee's shy daughter, ALEXANDRA ONIAS. The tender passion he finds with his new wife only strengthens his need to seek justice for her and her family. Determined to end the bloody rebellion against Rome, Nathan picks up his sword again, seeking help from his friend Herod, the newly-minted governor of Galilee, and the man who will one day be called HEROD THE GREAT. Betrayed by friends and hunted by neighbors, Nathan and Alexandra fight side by side to protect their loved ones, their home, and their very lives. But the couple's blossoming love faces ruin when the rebels strike out and Nathan unleashes the full fury of... The Warrior. Journey through ancient Jerusalem with the Onias family as they seek love, justice, and peace during Herod the Great's tumultuous rise to power. A former soldier in the Jewish army, Nathan of Rumah, just wants a quiet life on his family's olive farm. But his idyll ends abruptly when he rescues a wealthy and prominent Pharisee and his family from a brutal attack by rebels he calls friends. Nathan vows to right the wrong, never guessing it will lead to his hasty marriage to the Pharisee's shy daughter, Alexandra. Alexandra Onias is enthralled and unnerved to find herself wed, not to a scholar, but to a warrior. 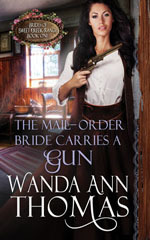 The risks her valiant husband takes on her behalf come at a terrible price when Nathan's countrymen turn against him. 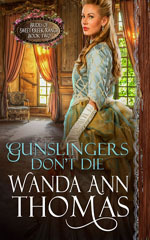 Shaken as she realizes how much Nathan has sacrificed on her behalf, Alexandra fights to save her husband from the rebels' revenge…and from Herod's blind ambition. Conflicted over marriage and motherhood, Mary of Rumah has been resisting her family's efforts to arrange a marriage. After her best friend dies in childbirth, Mary decides to escape her painful memories and embark on an idyllic life on the Sea of Galilee. But she rethinks her plan when a strong, quiet stonecutter captures her interest. Cephas isn't as shy as she first supposed. And he intrigues and challenges Mary in ways no man has before, forcing her to confront her fears or risk losing a lifetime of adventure and happiness. An outcast and a pagan, Kadar the Northman can't ignore the plea of a highborn Jewess who is desperate to recover her young son. Wronged by her power-hungry father, Lydia Onias turns to the giant, blue-eyed barbarian who had been such a comfort during her bleakest moments. But everyone's lives and future prospects are jeopardized when Jerusalem is attacked by an invading army. Kadar accompanies Herod to the dangerous courts of Cleopatra and Mark Antony to seek men and money to strike back. 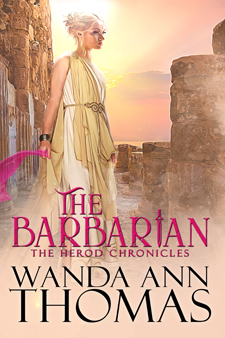 With Lydia and Herod's family stranded atop the water-starved heights of Masada, the fate of a nation and the woman he loves depend on the sword of the Barbarian. A widowed priest from a wealthy family, Gabriel Onias is appalled at the greed and corruption permeating the priesthood. Unable to stomach another moment of deceit, he turns his back on the only life he's ever known, shakes the dust of Jerusalem off his sandals, and joins Herod's war to overthrow the corrupt leaders. 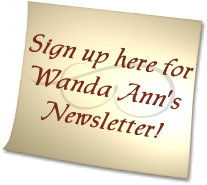 Wanda Ann Thomas writes fast-paced historical romance set among the tumultuous perils of the ancient world. 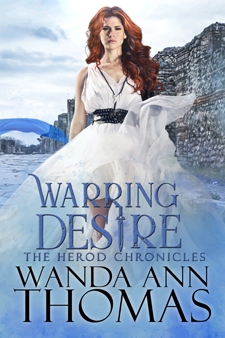 She adores heart-felt love stories, featuring warrior heroes and courageous heroines who will brave any danger for loved ones and struggle against overwhelming obstacles to win their happily ever after. 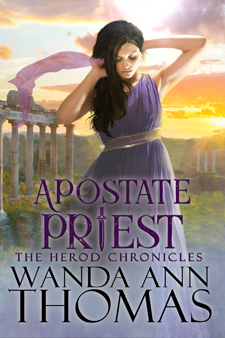 Building stories based in the Roman/Judeo world, Wanda's interest in first century history was sparked by reading the works of the historian Josephus. 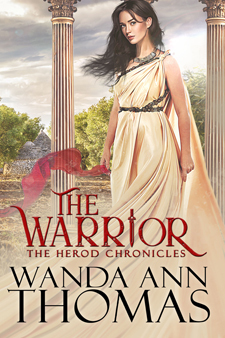 The inspiration for The HEROD CHRONICLES came about while doing research for another project and she discovered the particulars of Herod the Great's career. Herod was a fascinating complicated man whose larger-than-life exploits are made for fiction. Wanda starts each day bright and early at her computer writing and drinking coffee. When the weather allows she and her husband average three rounds of golf a week. She confesses to being overly fond of chocolate chips cookies, winter vacations spent in sunny Florida, and her large boisterous family.